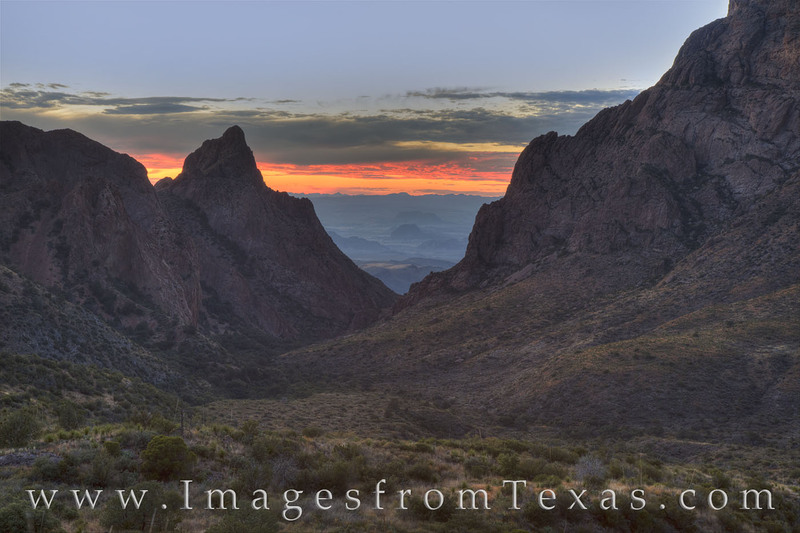 From a trail near the Chisos Lodge in Big Bend National Park, this view shows the iconic Window - one of the most well known rock formations in this park. Between a "V" of two large cliffs, hikers can peer into the distant valley below and the Chihuahuan Desert. Photo © copyright by Rob Greebon.